Fantastic service from the wonderful Elisabeth – I have used Having A Ball for many years now and have loved the dresses she gets me to venture out in. She really goes the extra mile – she looks at skin tone and suitable colours and body shape and asks how I want to feel at the event and without fail – she has always found something that I feel spectacular in. Thank you so much for my daughters Prom dress she looked stunning in it. And thank you for putting up with her she really was not easy to please and you got it spot on. Looking forward to seeing you in 2 years for my next daughters prom. (If you can put up with us again)!!!!! I hired a ball gown from this extremely professional lady who obviously is experienced is knowing exactly the dress for you as soon as she meets you . I tried a few dresses on and then tried the dress that she suggested and it was perfect for me. The colour and style suited me perfectly and I received many compliments on the night of the prestigious ball I was attending. I would thoroughly recommend this lady and confident she would choose the correct dress for you.I will return to hire a dress for next year. Thank you. Having a ball never disappoints…..this time I was looking for gown for my daughter and myself for a Black Tie event. It is always a treat being greeted by Elisabeth and shown to the wonderful Rooms full with exquisite dresses and gowns. My daughter felt like a princess trying on some of the beautiful dresses but it was Elisabeth knowledgeable expertise which helped us to decide for the right gown for the both of us. Thank you Elisabeth yet again for making mother & daughter feel like a Queen & Princess. Amazing collection which is growing all the time and fantastic and caring service by the business owner Elizabeth! Great solutions for any kind too event to attend! Warmly recommend! 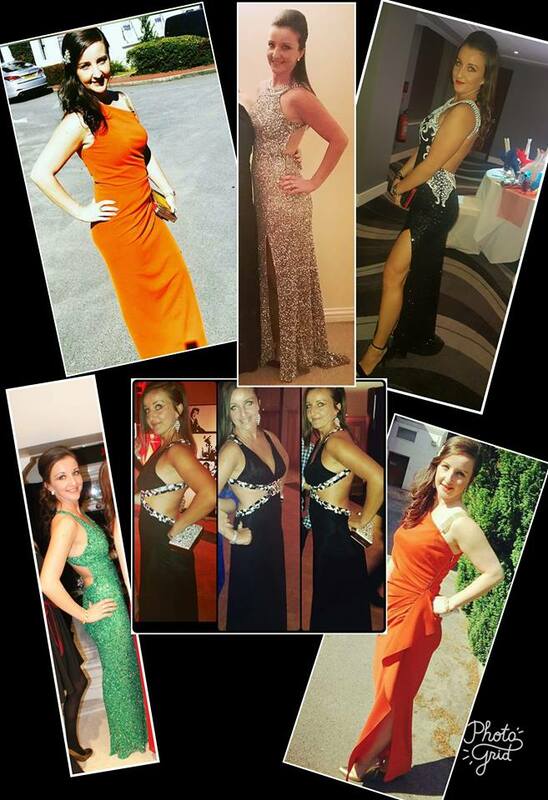 Having a Ball is THE PLACE to go to if you are looking for a stunning gown for a corporate even, Christmas Party, wedding or any other event. Owned by a lovely lady – Elisabeth, who is an amazing person, very friendly, helpful and keen to assist to ensure the customer is happy. Back in 2012, I was looking for a dress for a black tie event. I searched and searched and came across Having a Ball – never hired a dress previously, so it was a new experience. I arranged to visit Elisabeth’s shop and the moment I walked in to the dress room I was impressed and confident I found exactly what I was looking for. Walking in to the room full of beautiful dresses made me feel like a Princess ???? The range of dresses is great, different colours, materials, styles and always new items coming in. Dresses that are affordable for everyone, whilst most of us would not be able to afford to own one. Dresses worn by TV and sport celebrities that will make you feel like a ‘celebrity’ at your event. I’ve been coming back to Having a Ball ever since. Elisabeth and Having a Ball have been dressing me for every Christmas Party since 2012. I even hired few dresses for private events such as weddings and NYE parties. I have never received as many compliments on what I wear as I have been in Elisabeth’s beautiful dresses. They are different and unique and give everyone the ‘wow’ factor. Most recently, I’ve hired a dress for a very special event – my wedding (this was a 2nd dress in addition to my traditional white dress). 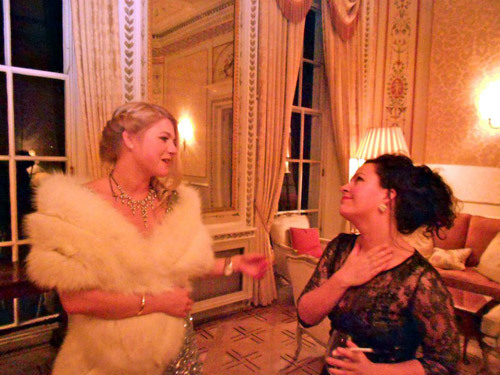 I attach a snapshot of some events where I was wearing the stunning gowns from Having a Ball. So if you are looking for that very special dress for your even, look no further – Having a Ball is the place. My Daughter looked absolutely stunning in a dress I hired from Having a Ball. She felt it was such a personal touch to her prom. I will definitely be going back for future dress hire. Thank you. I felt like a million dollars in the dress I hired from Having a Ball Dress Hire to attend The Change Maker’s Ball in New York. I received many compliments on the evening with respect to my dress and would like to thank you for your exceptional service. Elisabeth Piner at Having A Ball Dress Hire put me at ease from the minute I walked through the door on the first occasion and ever since she has been more than professional in her approach, whilst has exceptional ability to help guide you to choose that perfect dress for any occasion. Elisabeth has an eye to select a style that is flattering and will even alter a dress to ensure a perfect fit. Having a Ball Dress Hire offers a large range of dresses in luxurious fabrics along with fabulous accessories, eg: gorgeous jewellery, wraps, and handbags… then the look is complete! It was the first time in a dress for me. In the beginning I was pretty nervous, but you people gave me a good feeling. When I looked in the mirror it looked fantastic. The evening was great, I was so excited. It was a truly fabulous evening, with an all-star cast of presenters including Nick Clegg, Cherie Blaire, Jonathan Edwards and Her Royal Highness Princess Badiya Bint El Hassan of Jordan presenting the various nominations. Everyone was dressed very glamorously and I was duly pleased to be wearing a Jenny Packham frock – I certainly felt the part. THANK YOU for styling me so well AND for giving me the confidence to wear the dress and pull it off with aplomb – all much appreciated. Thank you so much for sending the photo and more importantly for the loan of that amazing dress! I had a good first Championships and really enjoyed looking after the players and getting them to court in time. It will be even better next year as they now know me now… as an ex player too. I felt like a real star in the dress, especially as I was on the same table as the glamorous Annabel Croft (and not far from Petra and Novak!). I will definitely recommend you, and the very personal service you offer, to any potential customers. From talking to others who had been to you on the night, you are extremely good at intuitively matching the dress to the individual! Thanks again for everything, it was a lovely evening. 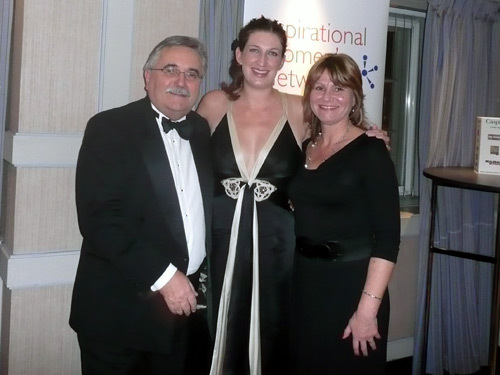 I was lucky enough to wear a wonderful dress in which I felt very comfortable for this special occasion. The atmosphere at the Championship dinner was magical and unforgettable. All the best to you and I’m looking forward to seeing you again next year. Elisabeth has an amazing range of dresses and provides a very professional whilst friendly service. 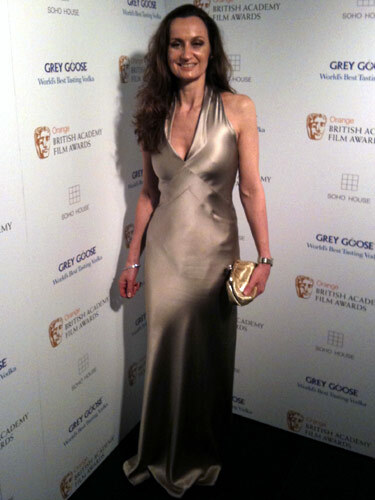 I hired a dress from Having a Ball for the BAFTA’s, it was beautiful and the perfect choice for the red carpet. I cannot thank you enough for the sparkly floor-length open back dress with the fox fur wrap, it has made my weekend so incredible and absolutely unforgettable – I received more compliments in this weekend alone than at any other point in my entire life! The dress gave me the courage to make a speech in front of almost 100 people, and whether I was dancing in Annabel’s or Ronnie Scott’s everyone’s attention seemed to be on me! When I bumped into Matt Lucas in Soho he was also very complimentary of the outfit and kept coming back to me to say how great the outfit was. When crossing the streets in London looking for a taxi people came up to ask me if I was a movie star, and when stood near Leicester square people had asked me if I’d been to a film premiere! I felt like a million dollars, and I’ll never forget it! Having spent all yesterday urgently looking for an evening dress for a ball, I felt quite despondent when all I could see was a rather mediocre selection in the shops. Then, I rang Elisabeth at ‘Having A Ball’, who quickly accommodated me with several dresses to try on at short notice. I am delighted to say, I now have purchased a dress that is entirely suitable for the occasion and fits well.